From a reader: "This is an amazing program that is changing so many lives in Newark, NJ and Essex County NJ, and I would love if you could help spread the word by posting it on blackgivesback." 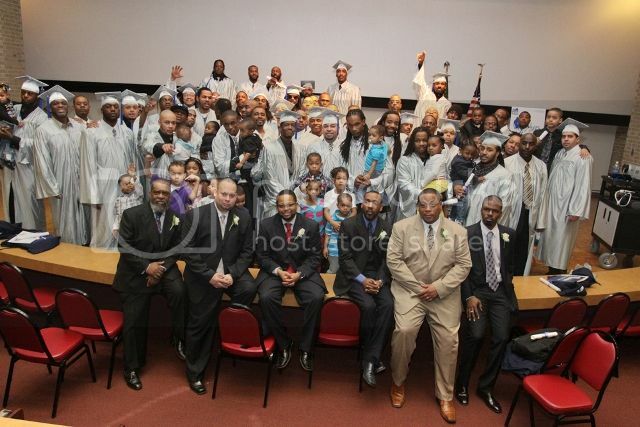 On Saturday, February 20th, 78 men successfully completed the Newark Now Fathers Program at the Newark Comprehensive Center for Fathers (NCCF). Headquartered at Essex County College, the program serves fathers in transition - men who have lost their jobs and homes, and those re-entering the workforce following incarceration who seek to assume greater responsibility for and contribute to the lives of their children. Services provided are mentoring, parenting and life skills, legal assistance, help to improve math and reading skills, individual counseling, support groups, father/child activities, employment search and interview preparation services. 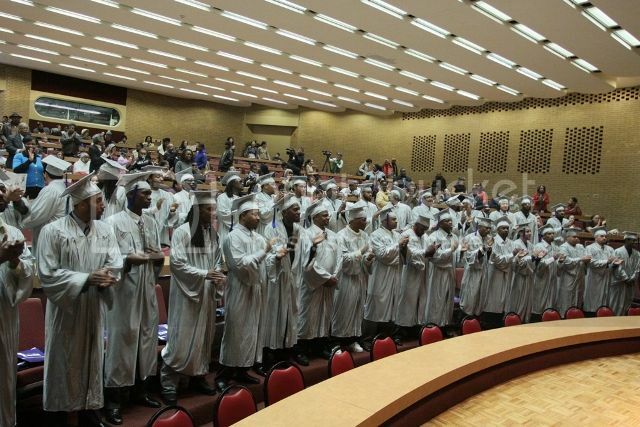 NCCF has successfully placed 70% of its graduates in gainful employment. In addition, men served by NCCF have a remarkably low recidivism rate of 3%. It is a replication site of the Philadelphia-based National Comprehensive Center for Fathers. Invited speakers for the event included Newark Mayor Cory Booker; Edgar Izurieta, President and CEO, Newark Now; LaVar Young, Director, Fathers Now; and Deron McNair, Fathers Now 2010 Graduating Class Valedictorian. 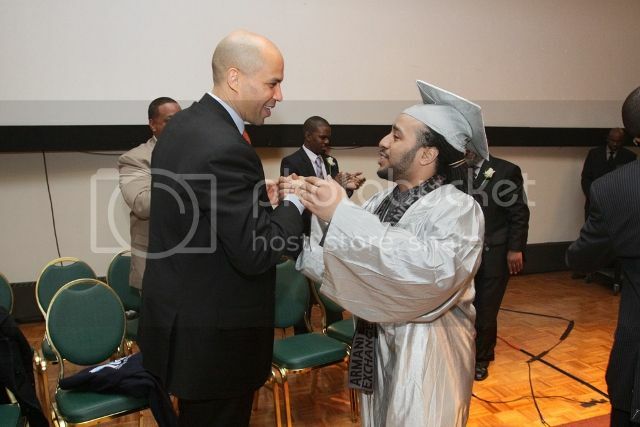 Newark, NJ mayor Cory Booker with graduate of Fathers Now program. The men in the program chant "Delta Alpha Delta Sigma" (D.A.D.S. ), to show their dedication to the program and their dedication to reclaiming their place as the father in their children's lives. Class valedictorian Deron McNair solidified the importance of this program with a single statement, "This isn't just a program, it isn't just a fraternity, this is our lives." Newark Now administers the program in partnership with the City of Newark, NewarkWorks, New Jersey Department of Labor, New Jersey Legal Services, and Release Network. For more information on the program, visit http://www.newarknow.org/fatherhood.html. Upcoming event: On February 25, 2010, Father’s Now will host the screening premiere for the documentary, Man-Up: The Exploration of a Fatherless Nation at the Newark Museum. The VIP reception begins at 5:00pm, screening at 7:00pm. Visit HERE for more information. Wow, what a wonderful program and important tool to help these fathers reconnect and become more involved in their children's lives.